In order to be eligible to recover workers compensation benefits, you have to prove that the injury arose from your employment and occurred during the course of your employment (“AOE/COE”). The injury can be either specific injury or cumulative trauma injury. A specific injury is one that occurs on one particular day. For example, if you fell off a ladder today and broke your hand, you sustained a specific injury to your hand today. A cumulative injury is one that occurs over time. For example, if you are a secretary and have been working for your employer for one year and you now have carpel tunnel syndrome, then you have sustained a cumulative trauma injury to your hand. NFL players are employed by the team that they play for. In the NFL, there are 32 teams and thus 32 employers. The NFL is a violent sport and the players sustain injuries all the time. The injury can occur in one big tackle or impact, whichmake it a specific injury. The injury can also be the trauma a football player sustains throughout a period of time employed by the team, which would make it a cumulative injury. As long as NFL players entitled to workers compensation can show that the injury is a direct result of playing in a particular game or games, then they can file for workers compensation benefits in the particular state in which the injury occurred or where their team is based. For example, if someone plays for the San Francisco 49ers and the 49ers play the Ney York Giants in New York and that player gets injured in the game, then that player can sue for workers compensation in California or in New York. The player can file for workers compensation in California because the player’s employer, the 49ers, is based in California. The injured player can also file for workers compensation in New York because the injury occurred in New York. The most common situation for an NFL player is to play for multiple teams over time and to sustain cumulative trauma while playing for all those teams. In that situation, the player will file a workers compensation claim for cumulative injury. You can only file for a one-year period of cumulative injury. The player will choose to file for the cumulative injury against the team employer he sustained the most cumulative trauma for. In summary, it’s possible for NFL players entitled to workers compensation to seek claims and it is actually very common for them to do so either during or after their NFL career. 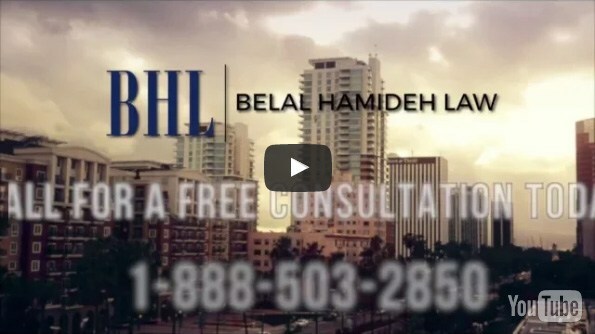 If you’re an NFL player seeking workers compensation, contact Belal Hamideh Law for the best assistance possible.